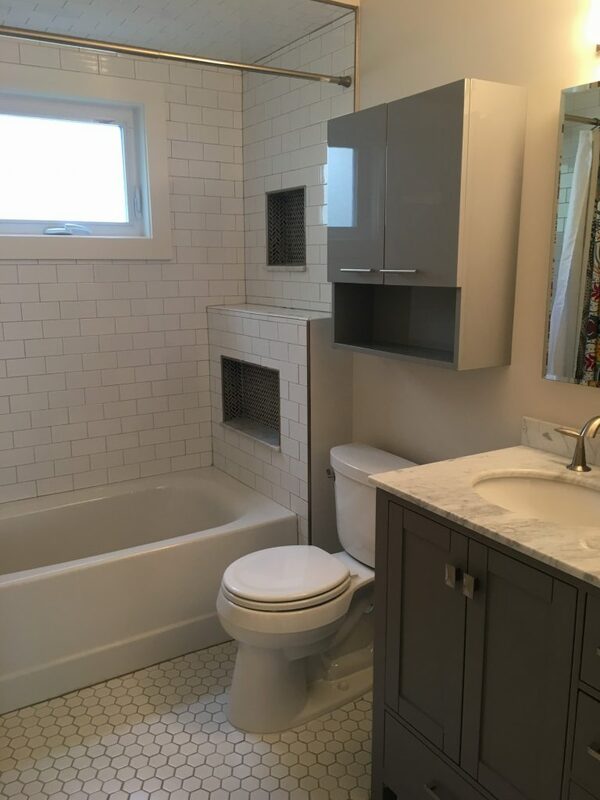 The owners of this Livingston, NJ home called in our team at Monk’s Home Improvements to completely remodel their hallway bathroom. 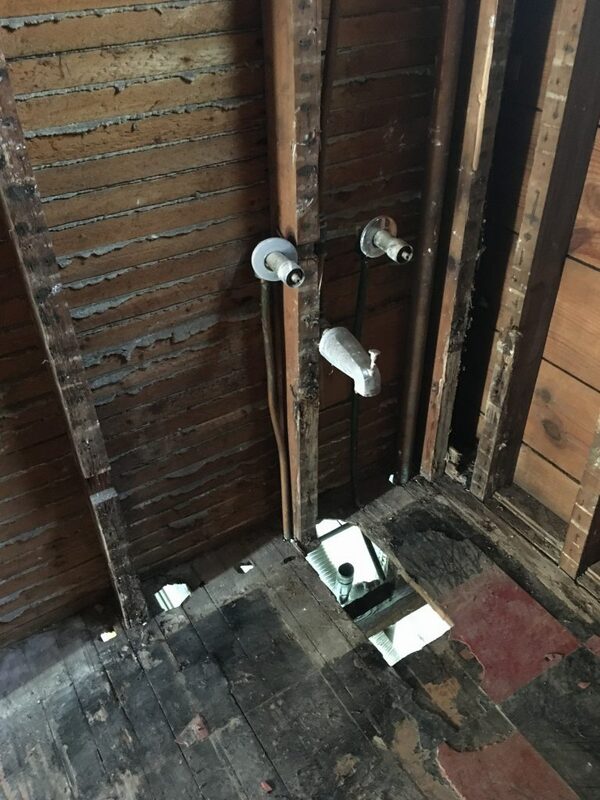 This project started with a complete gutting of the existing bathroom. Gutting a room in your home may seem a daunting task, but it allows you to rebuild the space exactly how you want it to be. The room was carefully sheetrocked, taped, and spackled, before being treated to a complete paint job. 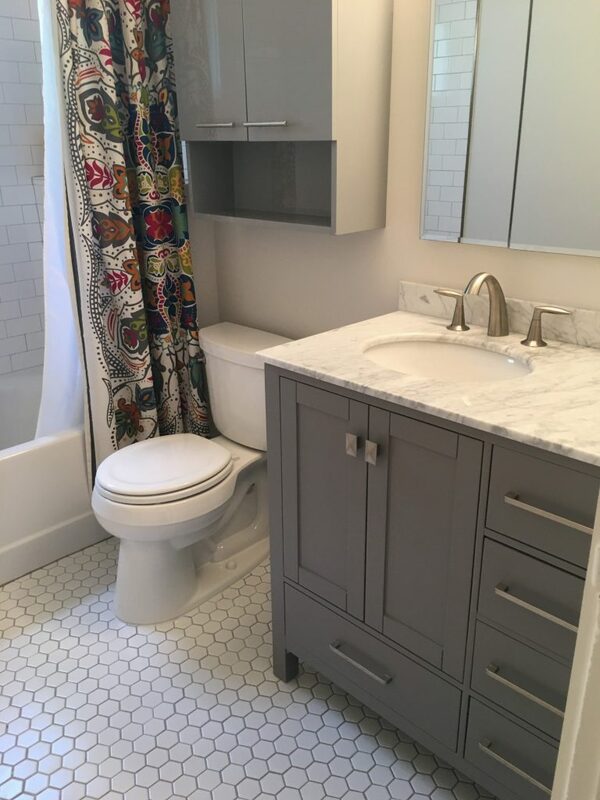 A brand new bath tub was installed, along with a new wood vanity with a luxurious marble top. 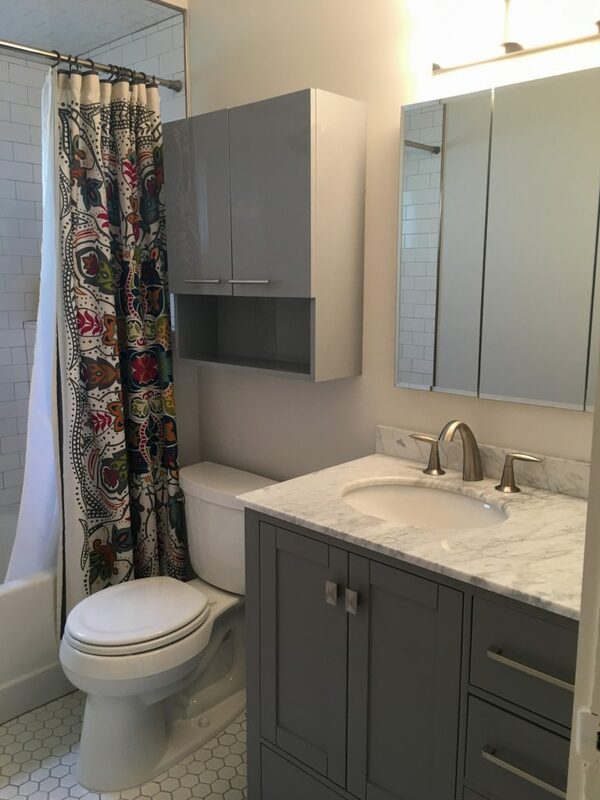 A new recessed mirrored medicine cabinet was also brought in to complete the space. The homeowners selected a hexagon shaped tile to be installed as the new flooring. Our team at Monk’s installed a new toilet with a special cabinet put in right above it. The cabinet was painted with a high gloss finish paint. 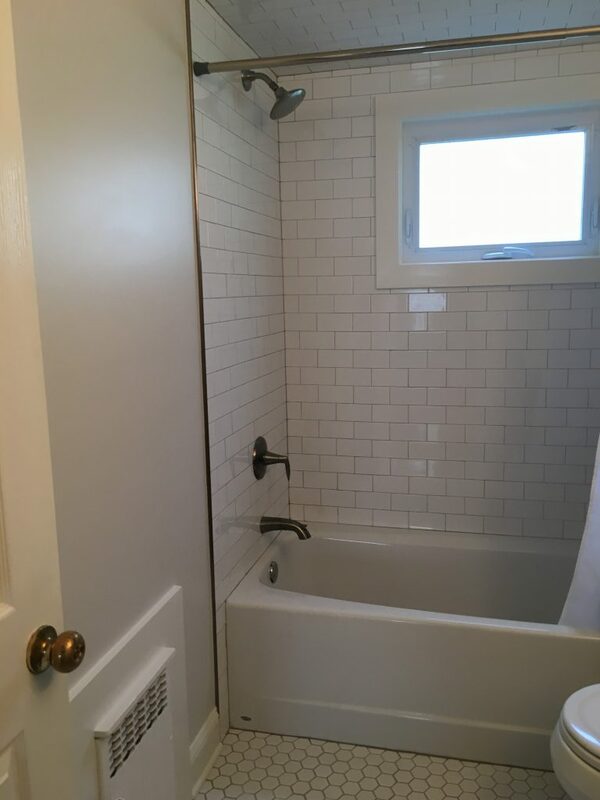 The shower was completely re-tiled with classic looking subway tile. 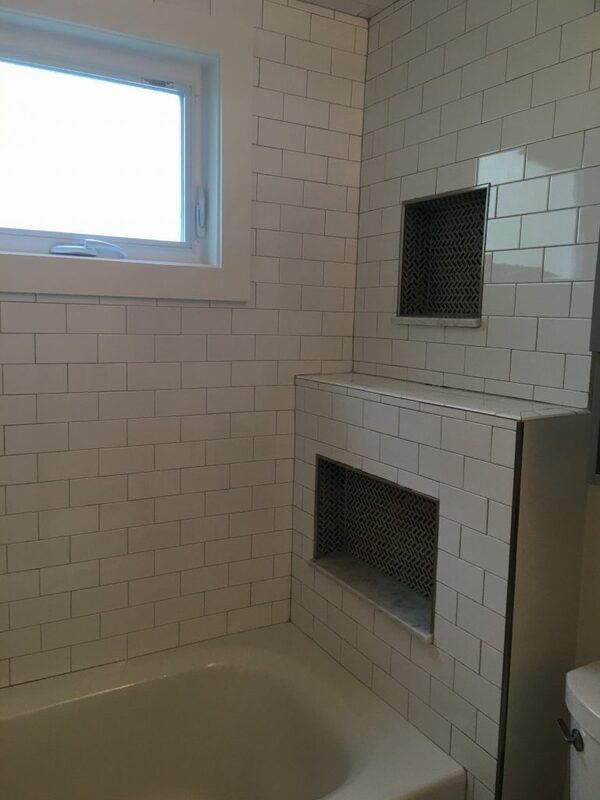 Two unique niches, along with a small shelf were also fitted in the shower. To complete the look of the space our team installed a new shower window. The interior trim of the window is a composite material so that the moisture of the bathroom will not lead to any sort of trim deterioration. 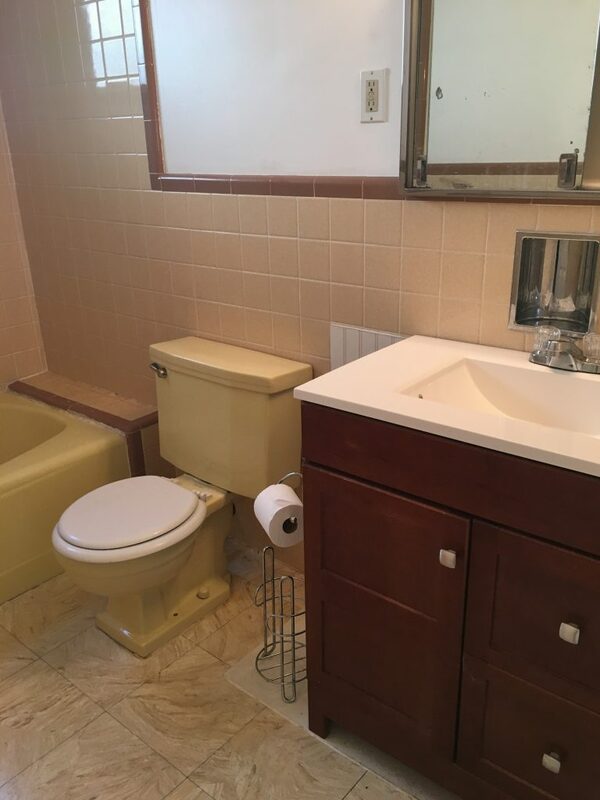 In only a handful of weeks our team had completely updated this Livingston, NJ home’s bathroom. 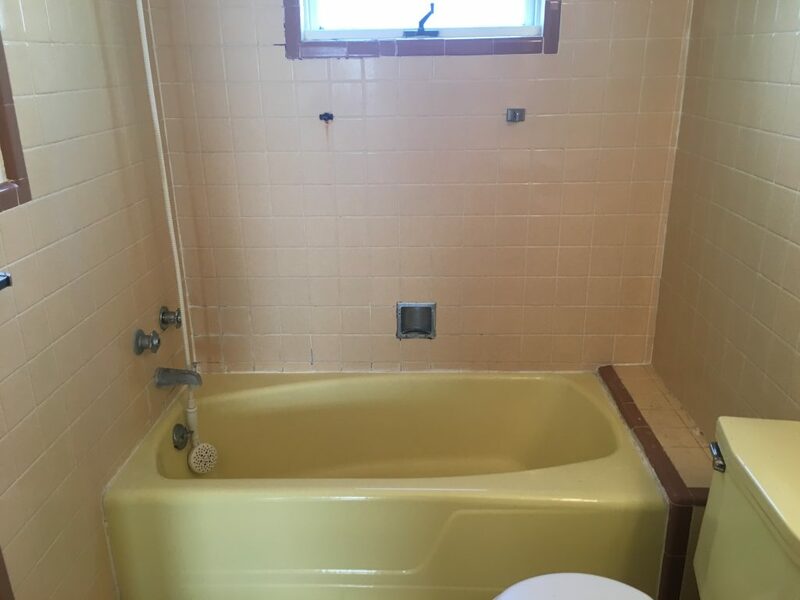 If you are considering a bathroom remodeling project for your home we would like the opportunity to tell you why we think we are the best bathroom remodeling contractor in Livingston, NJ 07039.